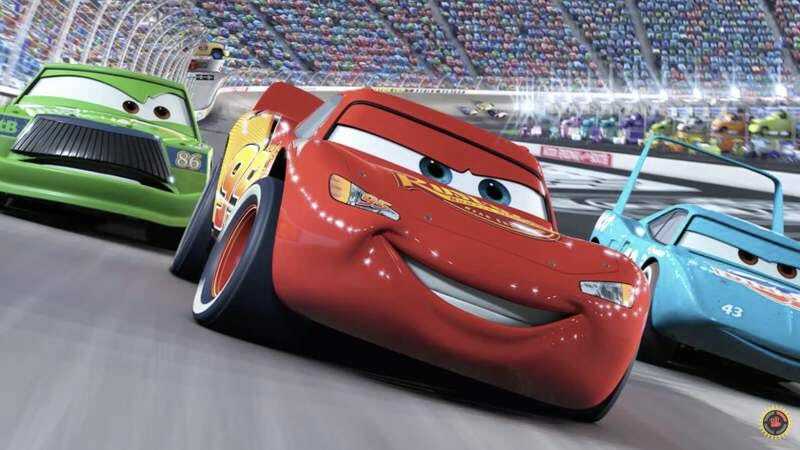 Screenshot: Film Theory: The Cars In The Cars Movie Aren't Cars! It’s hard to shake the marketing for Cars 3 from your mind, which dramatically suggested the death of series protagonist Lightning McQueen. A new video from the Film Theorists attempts to make that death much more visceral, suggesting that it is not a sentient machine that we will be watching die, but instead a living creature made of flesh, blood, and brains. That’s right: The cars in Cars aren’t cars. The excitable MatPat of Film Theorists first manages to fit this new Pixar theory into the now internet-famous Pixar theory, which posits that all of Pixar’s movies are part of one larger, cohesive narrative. According to that, the cars are highly evolved machines roaming the earth after humans have left it, setting the stage for WALL-E’s post-apocalypse. The “Cars’ cars aren’t cars” theory turns that on its head. Citing evidence that the cars have eyes and tongues, that they breathe oxygen and eat and drink and have all of the ramifications of having a body, MatPat eventually lands on the notion that the cars are, in fact, highly evolved bugs. That it makes sense at all is a tribute to the Film Theorists’ exuberance, but what’s more impressive is that, following this revolution, they manage to fit the insect-evolved cars concept back into the greater Pixar theory, albeit at a different point in the timeline. It’s a short video, but, as even they admit, its greater cosmological ramifications for the Pixar universe will take much more time to unpack.